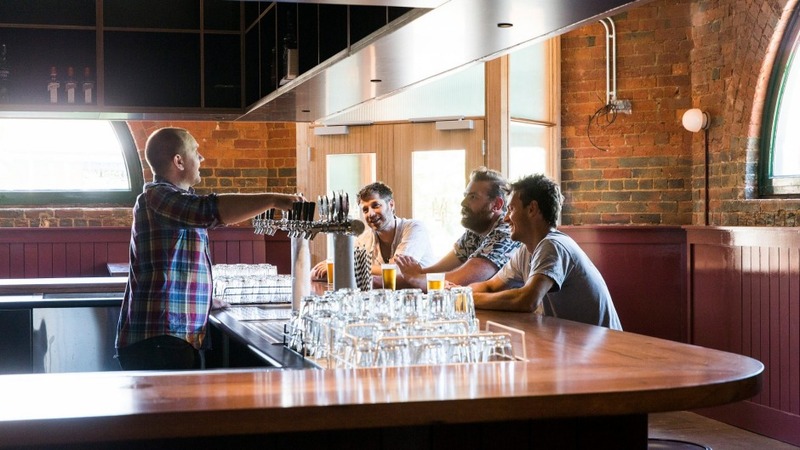 I didn't realise I had a summer pub fantasy until I found myself with my elbows on the bar and my hand on a schooner at the rejuvenated Victoria Hotel in Footscray. The fantasy shimmered into shape as the happy minutes rolled on. First, there should be cricket on the TV, preferably with milestones rolling along at decent intervals. Second, I want a happy buzz, enough to feel that there's bonhomie for all but not pitched to a roar. Third, I need that airy chill of cold beer lines and hard floors, a shady indoors feeling that suggests there's fierce heat outside. And fourth, if it's not asking too much, a contemporary approach to food and drink: don't make it fancy but do make it good. The Victoria Hotel delivers. It's owned by Anthony Hammond, co-owner of the Builders Arms, Fitzroy, his wife Jo De Fina and their friend Nick Carter. They've peeled back the layers of many renovations, turning a grimy boozer into an inviting, gambling-free pub where you'd be happy to bring the kids for spaghetti and meatballs. A delight in simplicity and old-school pub principles filters through. The decor is sparse with the central bar dominating. Floral carpet is laid around the edges of the room, under high tables and generous booths – it's a noise-muffling gesture that's also amusingly retro. Beyond the front bar, there's a dining room and courtyard, both welcoming but no-frills. The corrugated glass panels and retro font say "1940s private detective" to me and suggest a wry fondness for an age when things seemed simpler. There's beer on tap (mainstream and craft, pots or schooners), wine in barrels and just one white and one red by the glass on an eclectic one-page list with friendly annotations. Chef James Cornwall is a New Zealander who was head chef at London seafood institution J Sheekey, then Hong Kong's lavish Seafood Room. This is his first Melbourne gig and it's a bit of a departure: a no-table-service pub metres from Middle Footscray station. The menu is a mix of pub classics like parma, fish 'n' chips and steak alongside contemporary fare. 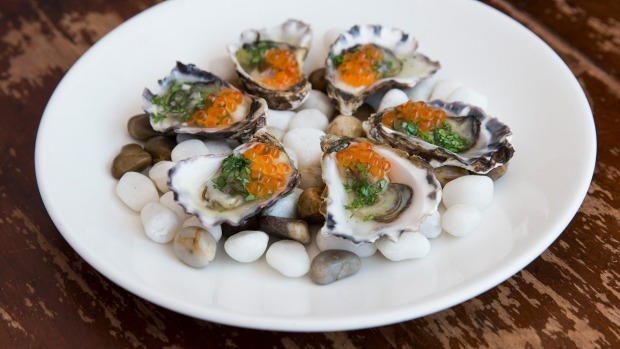 Oysters are dressed with jalapeno and salmon caviar, melding sharp pop with the ocean's smooth funk. Crunchy vegetable fritters are threaded with samphire, a salty coastal succulent: simple, snacky, satisfying. 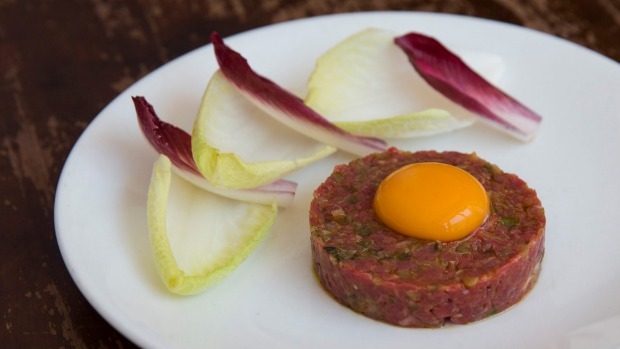 Steak tartare is beautifully chopped, studded with smoky chilli, topped with an egg yolk and served with endive leaves for crisp scooping. It's rich yet elegant. 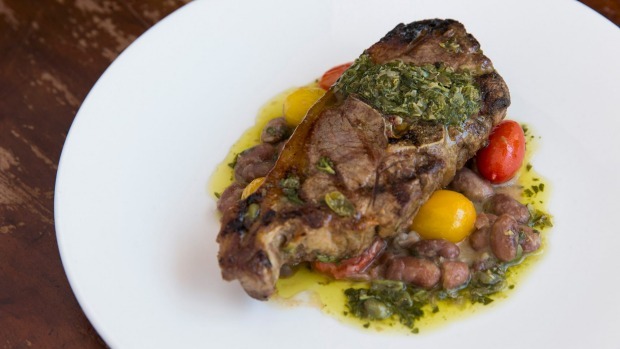 There's meat aplenty but also a drift to lighter, less flesh-dependent dishes. Tofu is the creamy base for a beetroot, walnut and watermelon salad; it's also the mixer for an intense berry-topped chocolate mousse. Pub standards are rendered with above average produce, treated with keen attention. The chicken parmigiana is a magnificent example of the genre, starring free-range golden-crumbed breast, good ham, Italian tomato sauce and mozzarella. The chips are skin on and triple-cooked. The side salad is fresh and nicely dressed, something you'd actually eat, not just push around the plate. Those same garnishes attend the steak, grass-fed, char-grilled to a pretty cross-hatch and served with a boat of anchovy (or bone marrow) butter. It's simple stuff but carefully done and prices are keen, assisted by the order-at-the-bar protocol which keeps staff costs down. And with that, my summer pub fantasy is complete – especially if the next round is on you?